Belinda Landsberry is an award-winning author and illustrator whose passion for words and pictures was evident from a very young age. Belinda completed her first illustration entitled: Butterflies and Flowers on Bedroom Furniture While Supposedly Taking A Nap at the age of three and wrote and illustrated her first picture book How To Become A Nurse (tragically, the only surviving literary work from her childhood) when she was just seven years old. Belinda’s best-selling debut children’s picture book, Anzac Ted, is published internationally and was short-listed for the 2016 Western Australian Young Reader’s Book Awards. Anzac Ted will also be featured in the 2017 Anzac Stories: Behind the Pages Exhibition hosted by the NSW State Libraries. Belinda has a Diploma of Teaching K-6 (Fine Arts major) and has trained as a nurse, graphic designer, copywriter and art director. 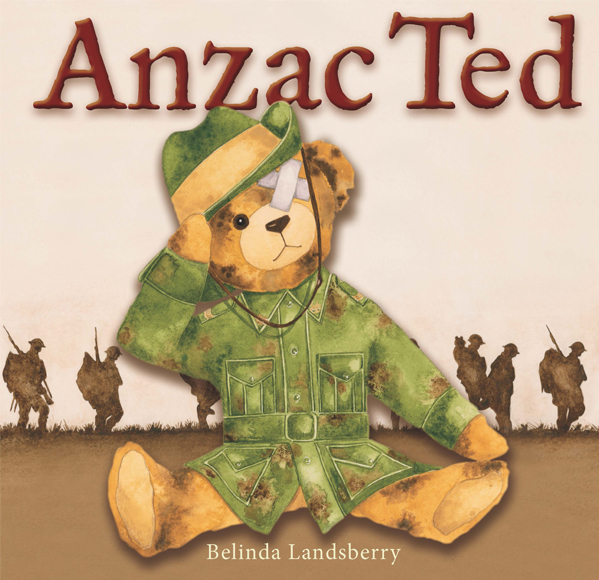 Anzac Ted might look scary – but there’s more to this battered old bear than meets the eye! 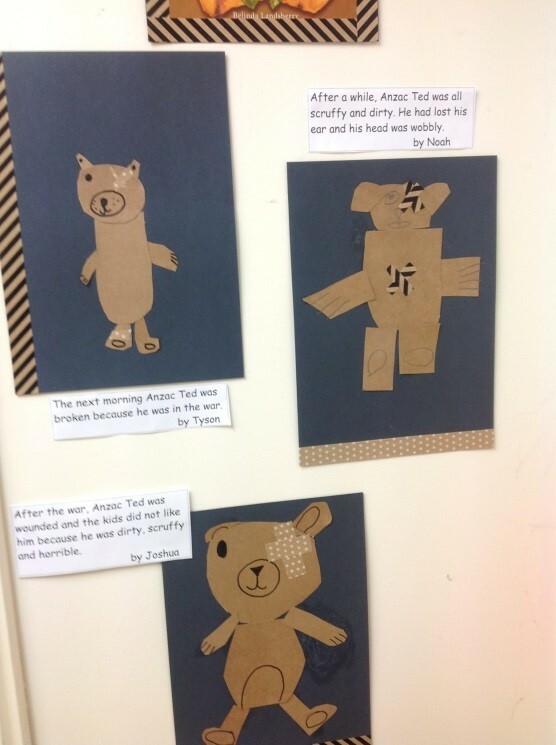 This is a story about the Anzac spirit and how, through courage, loyalty and love, a child’s teddy bear helped to bring our soldiers home. I discovered a deep respect and heartfelt gratitude for the ANZAC men and women who fought - and continue to fight - for us so that we may enjoy the peace and freedom of living in one of the most wonderful countries on Earth. I discovered I love getting mail (especially letters and pictures on real paper!). I discovered some wonderful school and shopping mall displays of ANZAC TED. 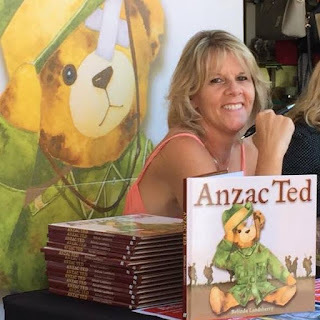 ANZAC TED and I love meeting so many wonderful people. But best of all? 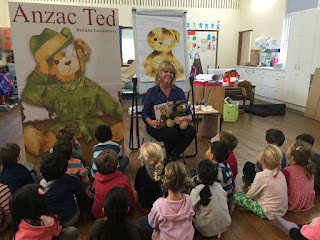 I love that ANZAC TED brings people together from all over the world. I learned that war takes a terrible toll, not just on the countries involved but on the servicemen and women and their families, both during their time served and after they return home. Thankfully, there are organisations and charities to help our returned servicemen and women and their families deal with some of these life-changing hardships.